I really loved my bouncy ball until I saw yours. That is an excellent bouncy ball. The bouncy ball is genius this week. You gals are super creative! 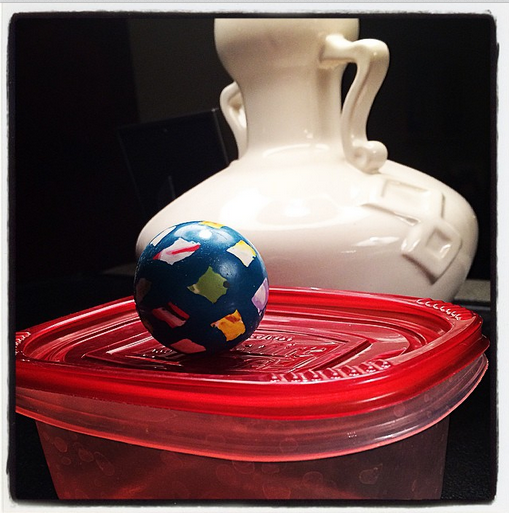 Bouncy ball and small food storage container... genius.